Around 1,500 women students of Jawaharlal Nehru University have petitioned President Ram Nath Kovind, also the Visitor of the university, asking him to “intervene” in the functioning of the Internal Complaints Committee (ICC) and reinstate the erstwhile Gender Sensitisation Committee Against Sexual Harassment (GSCASH). The petition was drafted and submitted to the Visitor on January 28 by the Democratic Students’ Federation (DSF). 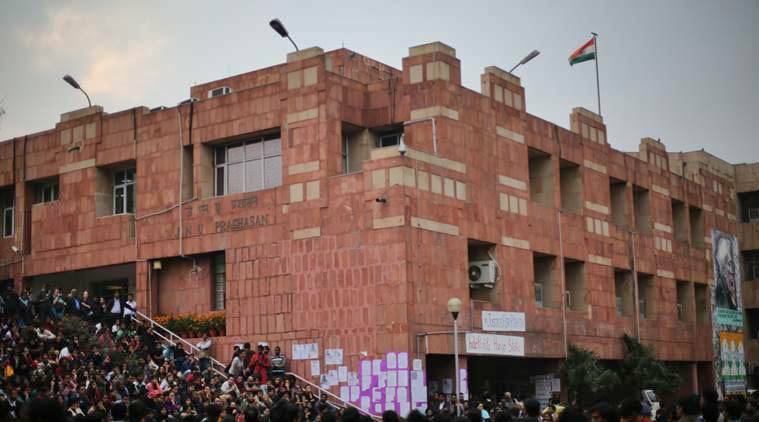 The Indian Express had earlier reported that the ICC, in one case, had taken a series of punitive measures against a complainant — including debarring her from campus, recommending withdrawal of her degree, prohibiting her from taking employment in JNU, and asking her to apologise to the defendant in the case. In the sexual harassment case against Professor Atul Johri, the ICC gave him a clean chit, saying he posed no threat to the eight complainants, and that the complainants had threatened him and his family. “The existence of the GSCASH in JNU campus had ensured a relatively safe space where free movement for women was possible. The GSCASH, in addition to adjudicating cases of sexual harassment, would also actively organise workshops to enable conversations surrounding such issues in the campus. The GSCASH, which was constituted after a protracted struggle by students, teachers and other sections of the JNU community, was illegally removed by the current V-C of JNU, Prof Mamidala Jagadesh Kumar in 2017. A petition challenging this move is being heard in the honourable Supreme Court. In the interim period, the ICC has acted in a regressive manner,” the petition reads. “Successive media reports have stated that the ICC has completely failed in ensuring justice to complainants in cases of sexual harassment. In one of the cases, it has been reported that the ICC had recommended the removal of the studentship of the complainant and other severe punitive actions. Similarly in the case against Prof Atul Johri, in addition to claiming that he is innocent, the ICC also recommended that he be provided protection against the complainants themselves. In both these matters, the ICC has violated principles of natural justice and the existing POSH Act, 2013… As a result of such verdicts by the ICC, we the women students of JNU have lost our faith in the ICC,” it further reads. They said the verdicts had resulted in an “environment of fear preventing students like us from approaching the ICC”. “Hence there is an immediate need for a functional institutional mechanism wherein we can lodge complaints without fear of punitive actions against the complainants themselves. We request you, as the Visitor of JNU, to intervene in this serious matter and immediately reinstate the GSCASH and take action against those in the ICC,” they said. “We hope that the President of India as the Visitor of the University will see to it that this completely unethical and gender-insensitive manner in which the ICC is functioning is put to a stop immediately and the more democratic and robust mechanism through the GSCASH is re-instated,” they added.